Here's a sample concept car sketch from my portfolio. 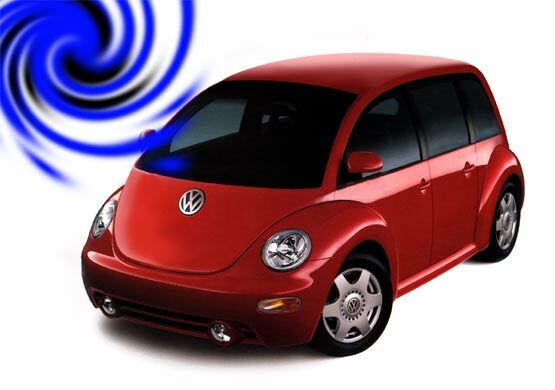 ome time back in '99, I was looking at a picture of what would be the future PT Cruiser and thought that it would be cool if Volkswagen took their then new Beetle and made something similar to the Cruiser. 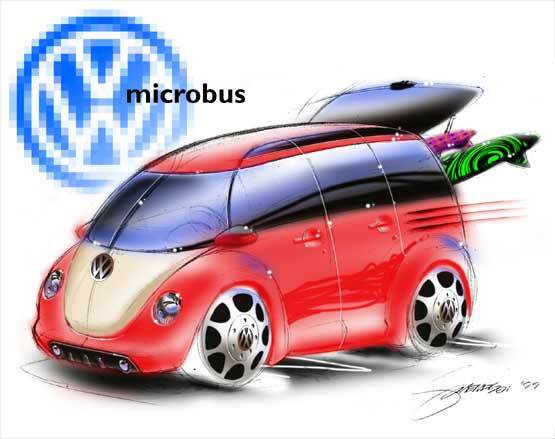 Maybe they could even revive the Microbus name. I did a concept sketch of my idea and thought it looked pretty cool. The version at the bottom was made by cutting apart and manipulating a scanned photo of a real VW Beetle to make a realistic looking version of the same idea.